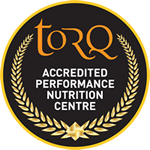 Last weekend the TORQ Performance Triathlon and Mountain Bike Teams descended on TORQ HQ in Shropshire for the team photo shoot with team sponsor and top professional photographer Joolze Dymond. The team had fantastic weekend with beautiful sunshine and the Long Mynd, part of the Shropshire hills as a stunning back drop. For team riders Ben Thomas and James Lister a gentle spin around the Long Mynd on Saturday morning simply wasn’t enough. As soon as the photo shoot had finished both riders headed straight down to Builth Wells for Round 1 of the Chain Reaction Cycles Marathon Series. James Lister our endurance specialist came out of his winter race hibernation and after a long journey down arrived at the Builth Wells and got straight to the start line ready for the Exposure Big Night Out, a night enduro held on the hills around Builth Wells. As an endurance specialist James is better accustomed to rides over 6 hours long but after a couple of hours finished a credible 6th position in what was a relatively short event. A good result considering he had some tough competition from some other top elite riders. The following morning both Ben and James took to the line of the full marathon course made up of 75km of open moor land singletrack with over 2000 meters of climbing, again blessed with beautiful sunshine. From the start a group quickly formed at the front including some of the UK’s top endurance riders including Ben and James. Unfortunately in the latter stages of the course James Lister suffered a puncture but after a quick repair went on to finish a consistent 6th position. Ben Thomas went on to set the fastest time of the day a good few minutes ahead of the rest of the 1000 strong field! This weekend many of the team will be at Dalby forest for Round 2 of the British Mountain Bike Series aboard there new race machines. Thanks to Jon at www.rightplacerighttime.co.uk for the pictures.